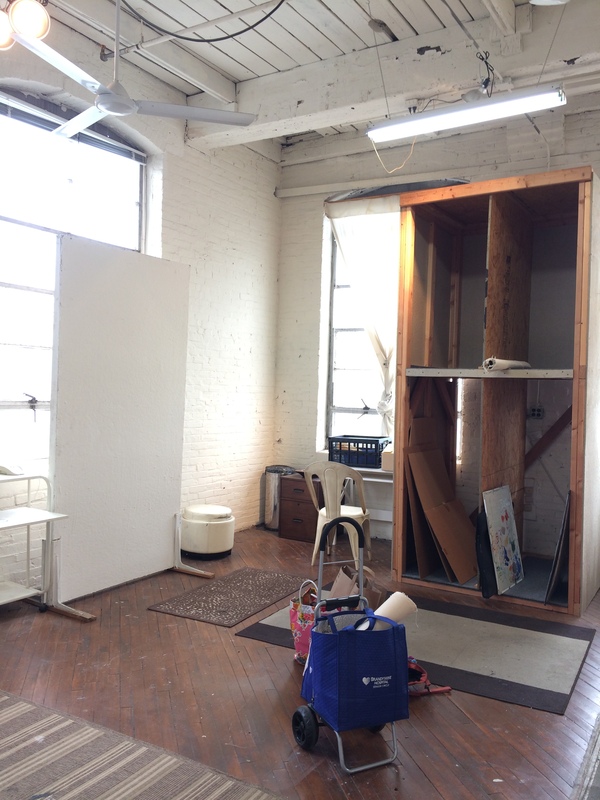 A few months ago, I moved my art supplies into a new studio. There are 22 studio spaces carved out in this old brick building and more than 22 artists and craftspersons. The building was, originally, a costume factory. It has been a good move. Tall factory windows face east and south so the place is flooded with light all day long. I’ve finished up some older work, and have started a lot of new work, some very large landscapes on paper, and some small oils on canvas, mounted on panels.